I’m not claiming to be a road trip guru or anything like that, but I’ve had my fair share of road trips. In fact, I spent last summer road tripping from Washington DC to Atlanta Georgia to Houston Texas to Tampa Florida and all the way back. I’ve also road tripped in Pakistan too, having explored Chitral and a bit of Hunza Valley. (the pictures of that post aren’t very good quality, for which I apologize). So I think I do know quite enough to start handing out advice 😀 it’ll be good advice, don’t worry! Road trips can get pretty boring, especially if you already know that it’s going to be a 12 hour long drive and the only people there to entertain you are your siblings who are more interested in sleeping. Here’s a list of things that you can bring with you to keep yourself occupied. -handicrafts, eg loom band, lanyards, knitting etc. Not everyone gets to road trip and have fun at the same time! Make the most of your adventure by writing extensive reports. Carry around an adventure journal or notebook as well as your trusty camera. You never know when something amazing might happen, whether it’s during the drive or at one of the stops. Always keep an eye out for adventure! This is especially important in terms of electronic devices. Always have your phone charger and a power bank, as well as the charger for the power bank itself. You don’t want to end up out of battery and you’ll also want to charge your gadgets whenever you find the opportunity to do so! Come on, what can a road trip be without accompanying junk food? Whether it’s juice boxes or sodas or cookies or chips- take everything. You never know when extra food can be useful. You don’t want to have trash in your car, especially when you know you’ll be spending quite a few hours there! Keep a bag or two at all times to collect trash, which would presumably be mostly from eatables and perhaps tissues etc. It’s a great way to keep your car clean. Don’t throw the trash out though- dispose of it properly! Bandages, alcohol swabs, parecetamol, gauze, one of everything in fact! It’ll save you a lot of trouble to have such items in the car, especially when you’re traveling in a relative foreign place and have no idea where a hospital or pharmacy might be! It’ll make things bearable, promise. Whether it’s coming to your car after an overnight stay and discovering rotting food you forgot to throw out, or the smell of a roasting car after standing in the heat for hours. Spray spray away! Get all your favorite sound tracks in one place, whether it’s a CD or a USB or whatever. Plug it into your car’s audio system for a good atmosphere. It could be something soothing to help you fall asleep or it could be something fast and cheerful to help keep you awake and exited throughout the drive. Either way, this can definitely help keep you entertained! It’s important to keep yourself comfortable and your feet are not an exception. Socks and sneakers are great, flip flops are great, sandals are great! You’re going to be sitting for long periods of time and you’ll want to walk and exercise once you get out of the car. I hope you found these little tips useful! I wrote these out since I’m going to be going on another road trip this Monday. We’ll be going to Kashmir and other valleys like Naran and Kaghan with my aunt and grandfather, who would be coming from Karachi on Sunday. I’ll be missing three days of school, but I’m really excited to go! You bet I’d be carrying my adventure journal, camera, back up batteries and power banks, and documenting each and every thing! 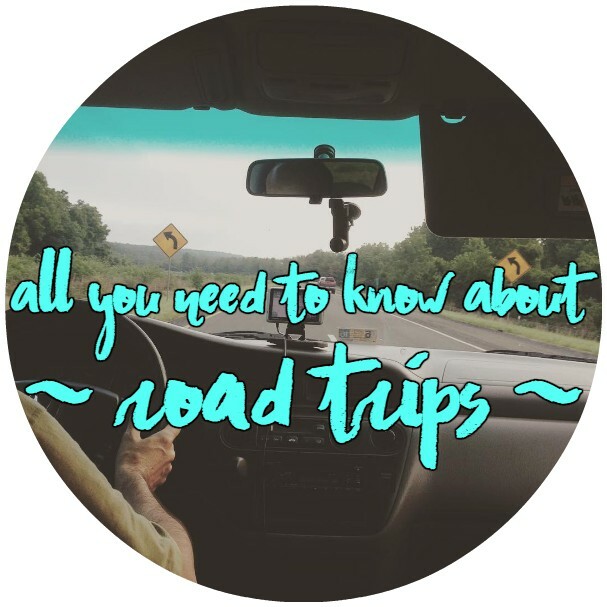 Have you road tripped before? Where did you go? Did you enjoy yourself? Have a nice day!